I loved the secret handshake and the barista was so helpful and offered to make it half sweet for me! SO great! The atmosphere is so cozy and the barista was so sweet and helpful - she gave me a great recommendation! Loved coming here. Some of the menu items had changed so I didn’t get what I went in for, but me second choice was great! I love the Brew. I don't always go there, but am more willing to try it again now. The Brew has a great selection of coffee and non-coffee drinks. The atmosphere is social, but also conducive to getting work done. Very friendly and fast service. Relaxing atmosphere. Would definitely come back! The place had a good vibe and the coffee was good. I love this place!!! Thank you for the gift! Great service and a delicious drink! Very good place to study and take a coffee break! 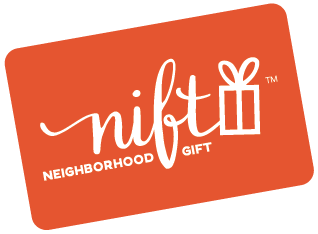 I'm glad Nift showed me this shop, it's my new place to meet my friends!